The common names for the hardy bulb or perennial Anemone include Japanese anemone, September charm, Pasque flower, snowdrop windflower, and windflower. They typically flower from early spring through to the late autumn; this is dependent upon the species as Anemone is a very diverse gender. Anemone is a very diverse group of plants and different species can grow from 15cm to 120 cm in height. As a consequence of this diversity Anemone flowers may be nearly any colour, the exception being yellow. They are often planted in groups in borders. G.A. Cooper @ USDA-NRCS PLANTS Database. Smithsonian Institution, Department of Systematic Biology-Botany. 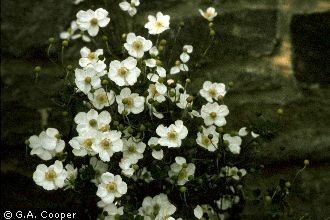 Common Names: Windflower: Greek, Grecian, Snowdrop Riverside. Anemone: Wood, Chinese, Japanese, Carolina, Poppy, Drummond’s, Woodland. Thimbleweed, Prairie Crocus, September charm, Pasque flower. Life Cycle: Hardy perennial. Bulbs/Tubers. Height: 6 to 40 inches (15 to 120 cm). Flowers: Species dependent: early spring to late autumn. Flower Details: Diverse genus with flowers in most colors, except yellow. Umbels or cymes of two to nine flowers. Up to 27 sepals, but non-existent petals in most species. Cup-shaped. Fragrant. Fruit: Ovoid. Tightly clustered achenes. Feathery. Foliage: Basal leaves. Long petioles. Upright or prostrate. Toothed or entire leaf margins. Maple-like. Dark-green. Seeds: Mix seeds in a moist growing medium. Stratify by refrigeration for two or three weeks. Seeds should then be sown into flats in the spring. Next sink the flat into the ground in an area that offers shade, preferably close to a wall that faces north. Provide a glass/plastic covering. Keep an eye on the flats to ensure that the soil remains moist. Once seedlings emerge transplant them to their final location (early spring or late in autumn depending on species). Space at 6 to 16 inches (15—40 cm) depending on species size. Tubers/corms: 3 to 4 inches (7 to 10 cm). Mid-autumn. Supply mulch. Requirements and care: Partial shade for best results, can tolerate full sunlight (morning sun for best results). Light soil. Loam enriched with manure (dig in below tubers). Plant close to a wall in colder regions. Regular watering. Mulch with leaf matter for the winter. Do not let soil become water saturated over the winter. May become floppy if leaves do not receive enough light. Protect from strong winds. Cut tall plants back to half size at the start of summer. Propagate: by dividing in the spring. Or the middle of summer to early autumn for spring blooming container grown plants. Miscellaneous: Named from the Greek word anemōnē: Daughter of the Wind. According to Greek mythology the flower was created by Venus, who sprinkled nectar on the blood of Adonis, her dead lover. Harvest flowers by cutting in the morning when the bloom is still closed, once they are placed in a vase of water the flowers will open. 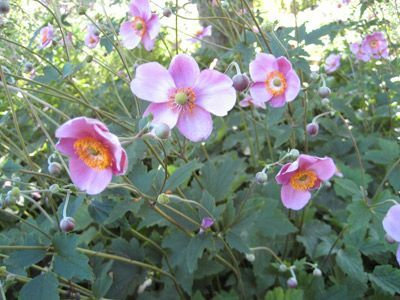 It is best to sow windflowers and their relatives such as september charm Anemone in moistened soil within a plastic bag, and then imbibe the seeds for three weeks at four degrees Celsius in a fridge. 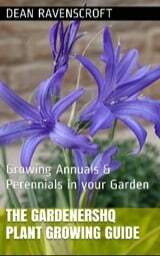 If planting corms, they should be planted at a depth of 10 to 12 cm in the middle of autumn. Anemone prefers to be grown partly shaded area but is able to withstand full sunlight. The soil should not be poor, it should be fertilised with either humus or rotten manure with a pH level in the range of 6 to 7.5. Anemone requires between two and twenty five weeks to germinate depending on the species and the time of planting. If starting seedlings off indoors it is best to plant them out in either the early spring or late autumn. Anemone require to be watered regularly, and should be mulched in the summer to maintain cool soil temperatures. In harsh area it may be necessary to bring in the plants during the winter before putting out again in the spring.